– Complimentary enrichment via the innovative Creative Learning Institute and Computer University@Sea with classes in diverse topics such as world affairs, wellness, art, wine appreciation, digital photography and iPad film-making. *Conditions Apply: All prices shown here are per person share twin (unless stated as single) in AUD, based on best available cruise fare at time of publication (25Mar19). All prices based on cash payment - credit card fees may apply. Free airfares are in economy class and once issued strict cancellation/change fees apply. 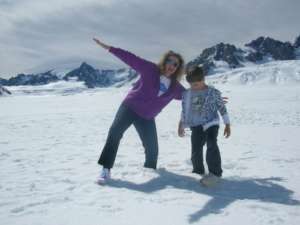 Free hotels and transfers at discretion of our agency and subject to availability at time of booking. Rates quoted converted from USD and as such are subject to currency fluctuation until paid in full. Cruise deposit, amendment and cancellation conditions apply. 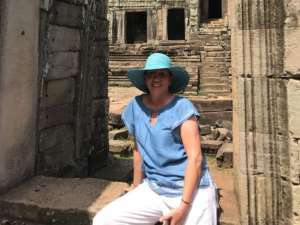 Travel agent service fees may apply. Special conditions apply - please ask for full details at time of enquiry. All passports, vaccinations and visas are the responsibility of the travelling guest to secure prior to departure from Australia. While we endeavour to keep our pricing as up-to-date as possible, the advertised prices shown here may differ from the prices in our booking system at time of reservation. Offer ends 30Apr19 or until sold out/withdrawn and are subject to availability at time of booking. We reserve the right to correct errors without penalty. Special is valid from 25 Mar 2019 to 30 Apr 2019 or until sold out/withdrawn. 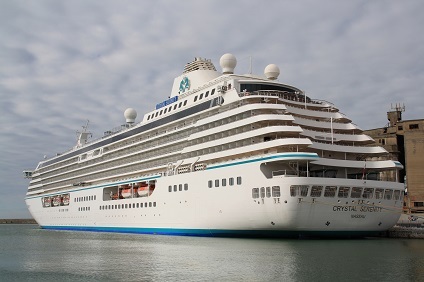 13 Night Cruise sailing from Athens to Barcelona aboard Crystal Serenity. 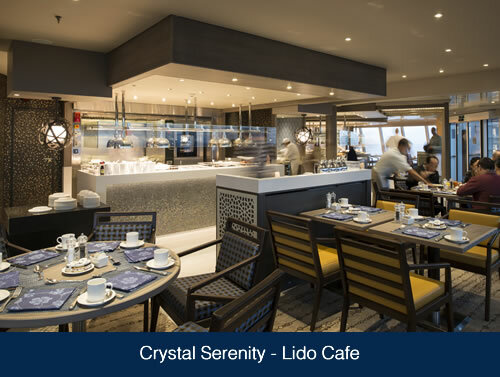 The exquisite ambience of the Crystal Serenity leads to an extraordinary experience. 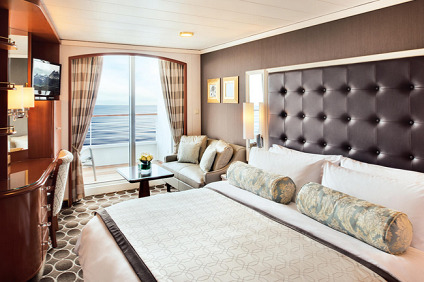 Unwind in luxurious and spacious accommodations — 85% of the staterooms feature private verandahs. 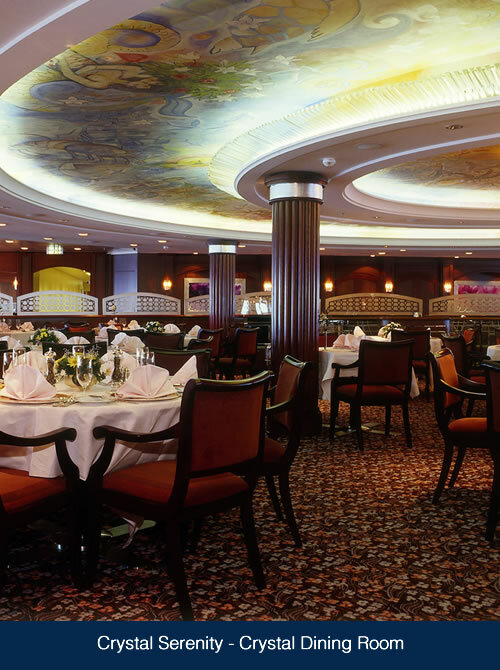 Spectacular international fare can be found in elegant restaurants throughout the ship, including celebrity chef Nobu Matsuhisa’s Silk Road. 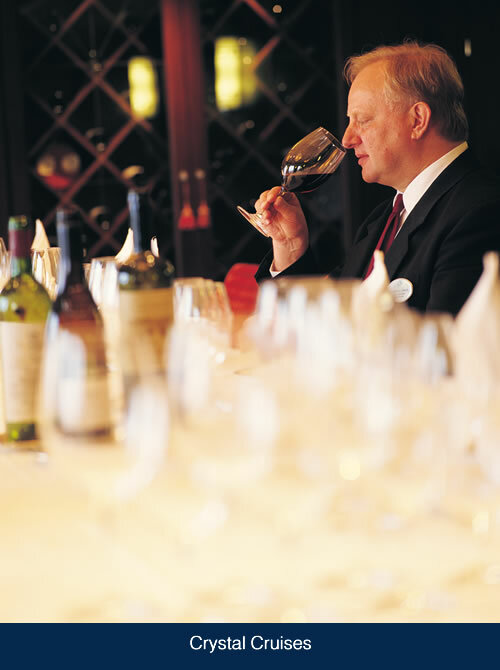 The delightful cuisine is complemented by an extensive wine cellar that features over 150 vintages. 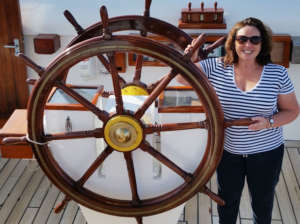 And the activities onboard will delight you. Rejuvenate your soul in the Feng Shui-designed Crystal Spa or swing Callaway clubs at the driving range. Glamour and excitement await at the Caesars Palace at Sea casino. Piraeus is Greece’s largest port and has been a gateway to the Mediterranean since 482 BC. It lies on the innermost point of the Saronic Gulf and is a short drive from Athens, the cradle of Western democracy and culture. Throughout the ages, Athens’ lofty Acropolis has been a source of inspiration. The ancient ruins scattered throughout this legendary city are reminders of Greece’s great cultural heritage. Of all the Cyclades Islands, Santorini is often considered the most dramatic. Once an active volcano, it was known as Stongyle, or the Round Island. 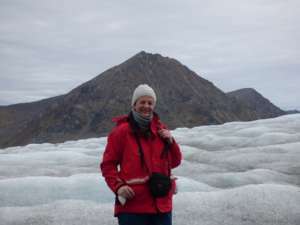 In about 1500 BC, the volcano erupted with such force that the center of the island literally exploded, leaving the haunting submerged crater into which Crystal sails. The island’s small villages were preserved in the ashes and recent excavations have uncovered a fascinating view of everyday life from 3,500 years ago. Thíra, or Fira Town, is laid out along the edge of a cliff that partially forms the rim of the now extinct caldera. A picturesque site, it exudes charm and an atmosphere of leisure that can be attributed to the easy-going Greek lifestyle. As your ship approaches the Sorrento Peninsula, delight in craggy cliffs draped with flowing pink blossoms. Renowned for its serene way of life, this romantic port exudes a special magic. 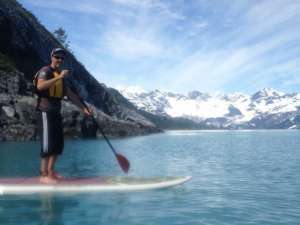 Its dramatic bluffs and surrounding flowered hills bid travelers welcome to a town overflowing with charm and character. It is easy to relax in this languid southern Italian atmosphere. The sensational Amalfi Coast and the haunting ruins at Pompeii are among the region’s highlights. Goethe once observed that Tuscany “looks like Italy should [look].” Fortunately, little has changed in the two centuries since the German poet was himself a tourist in Tuscany. The Tyrrhenian port of Livorno was founded in the 15th century. 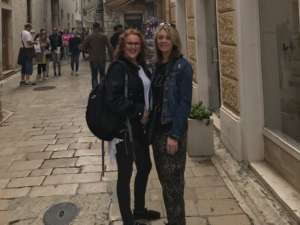 It is the gateway to Italy’s Tuscan region and to many spectacular sights; including the extraordinary Leaning Tower of Pisa, the charming medieval village of Lucca, the lovely hill town of San Gimignano and the timeless city of Florence. No place is as imbued with such grace, dignity, serenity and history as is Florence. This city’s wealth of architectural and artistic treasures includes works by Raphael, da Vinci, Botticelli and Michelangelo. 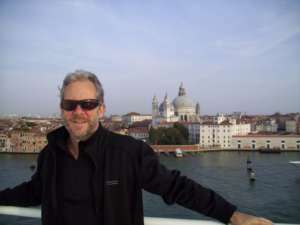 Truly Florence, cradle of the Italian Renaissance, is one of the world’s most enticing cities. The queen of the Côte d’Azur, Marseille is France’s oldest city and one of the Mediterranean’s premier ports. Amid the big-city bustle, the old port is a quaint landscape of historic charm: colorful fishing boats sail past the imposing Fort Saint-Jean, narrow streets wander among ancient churches and cobbled squares, while the venerable Basilica overlooks the scene from the hilltop above. Barcelona, capital of Catalonia, is a celebration of history and heir to Greek, Phoenician, Roman, Carthaginian, Gothic and Arab cultural legacies. Since it is nearly as close to Rome, Geneva and Munich as it is to Madrid, Barcelona has long been the Spanish link to Western Europe. It was the home of Picasso, Miró, Dali, Casals and Gaudí and has been described as a Mediterranean Manhattan, a cosmopolitan experimental center for political ideas and artistic movements. In addition to its abundance of artistic and architectural treasures, Barcelona serves as the gateway to one of the world’s most impressive mountainside enclaves at Montserrat. Discover the secret legends of the Black Virgin and the alluring chants of monastic life high atop the Catalonian plains. Barcelona’s ancient city walls and the narrow crooked streets of the town’s old section are laid out for your discovery. You will find that Barcelona has something for everybody. 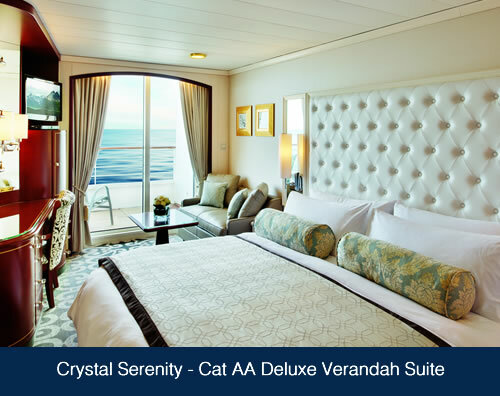 The exquisite ambience of the Crystal Serenity leads to an extraordinary experience. 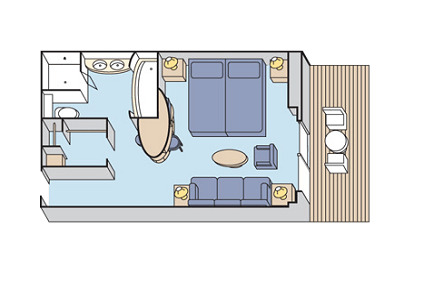 Unwind in luxurious and spacious accommodations — 85% of the staterooms feature private verandahs. Spectacular international fare can be found in elegant restaurants throughout the ship, including celebrity chef Nobu Matsuhisa’s Umi Uma. The delightful cuisine is complemented by an extensive wine cellar that features over 150 vintages. 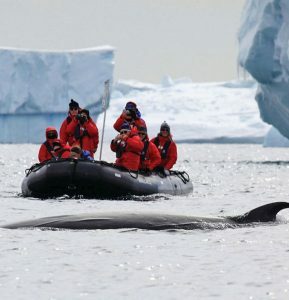 And the activities onboard will delight you. Rejuvenate your soul in the Feng Shui-designed Crystal Spa or swing Callaway clubs at the driving range. Uniting West End and Broadway, Hollywood and Vegas. In virtually every industry poll, Crystal’s rich variety of entertainment offerings ranks number one. Luxury, as they say, is in the details. It is so often the little details that make all the difference. And on a Crystal cruise, the differences are many. 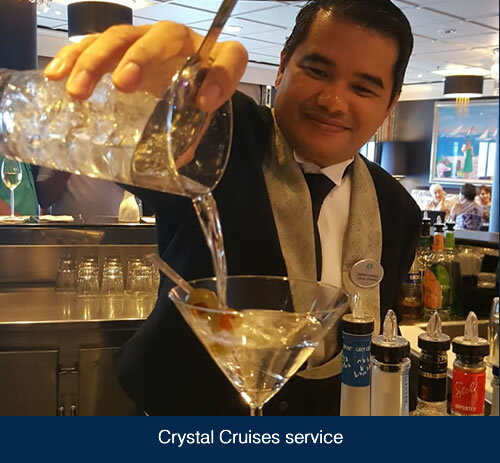 From the moment you step on board, you will experience Crystal Cruises’ dedication to making your cruise with us a perfect one. Our Six-Star Commitment means each instant must be memorable, every detail sublime. 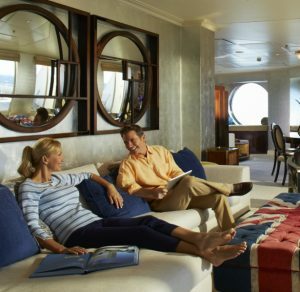 From the grand designs of our ships to the right vintage wine, a turned-down bed, or even a simple smile, singular attention is paid to every detail of your cruise. 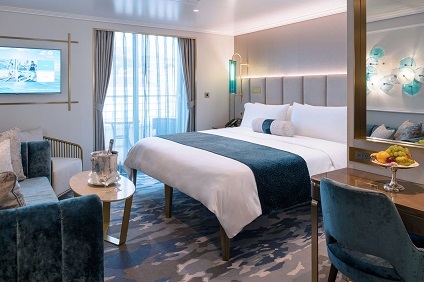 For all of us at Crystal Cruises, Six-Star quality means more than awards and accolades; it means the constant pursuit of a single goal: to create the best, then make it better. 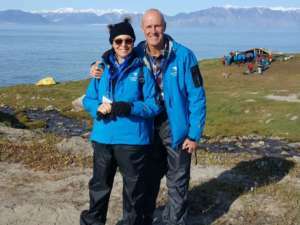 We are not just aiming to provide a fabulous vacation, we are aiming to create an experience that will enrich your life and provide memories to cherish forever. Think of the farthest corners of the world connected by a smooth and shining sea. Imagine that a floating luxury resort, filled with everything you ever could desire, is waiting to carry you on the journey of your dreams. 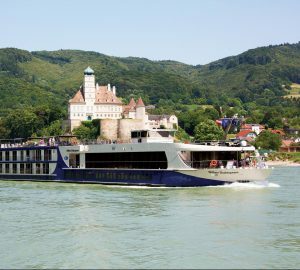 At Crystal Cruises, they take pride in navigating that magical highway of the sea, transporting you to the best the world has to offer. 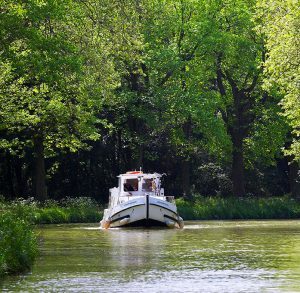 Your days and nights on a Crystal cruise are effortless and carefree. You will revel in a wealth of time, a luxurious sense of leisure and ease; your hours are your own, to spend as you see fit. 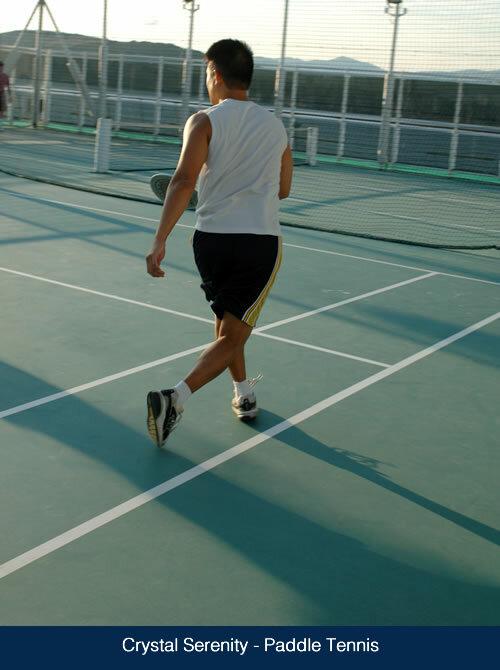 Released from the pressure of schedules and routines, you are free to play, to rest, to mingle and relax – to allow for the luxury of serendipity. Like the open sea, each day is limitless. You can chart a course, then change it at your whim. Let possibility fill the sails of your imagination and see what magic might appear. 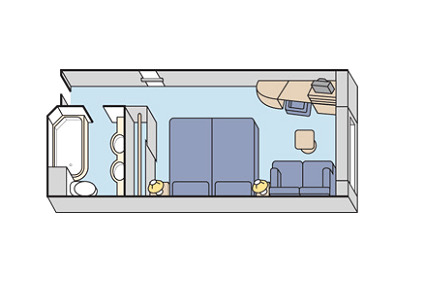 Crystal Cruises gives you space to stretch out and explore. There are broad, sunny decks to stroll and inviting corners to settle into. There are cozy nooks where you can be alone. You can join a spellbound audience at an exciting Broadway-style show or get together with a few new friends over a frothy cappuccino. 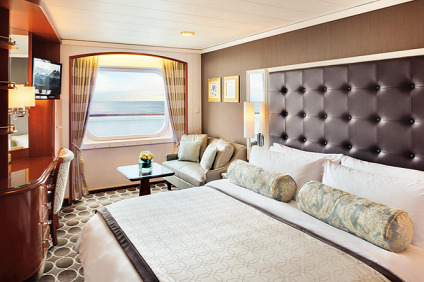 Your stateroom is a comforting place to call your own, where you can snuggle in and dream. With skilled and practiced sleight-of-hand, chefs prepare the finest cuisine from around the world. 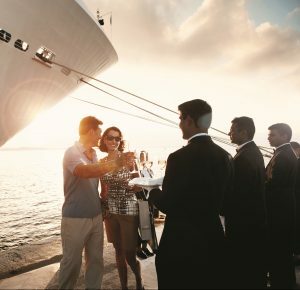 Guests may begin a cruise alone, but within days they find themselves greeting new-found friends. 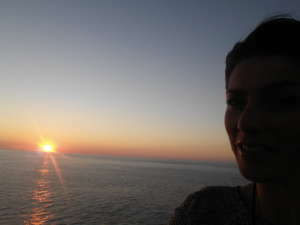 There is a spirit of cheerfulness and good humor to be found wherever you are on the ship. 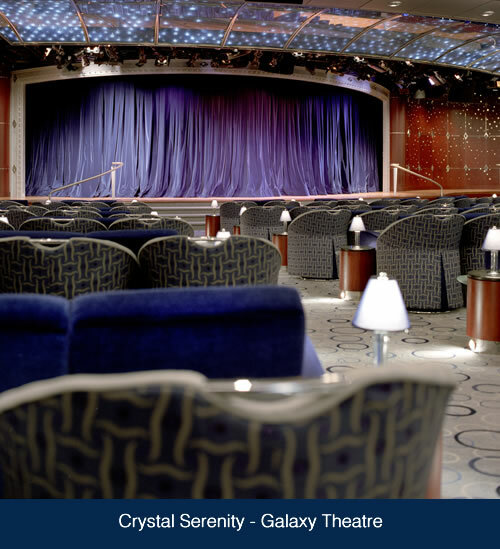 Guests say that’s the real magic of a Crystal cruise. There’s no mystery to it; it’s simply a commitment to heartfelt service that creates an atmosphere of enchantment, every day. 226 Sq. Ft. Travel the world in comfortable luxury in this stylishly-furnished, elegant stateroom featuring deluxe amenities, unobstructed views from a large picture window, and deliciously attentive 24-hour room service. 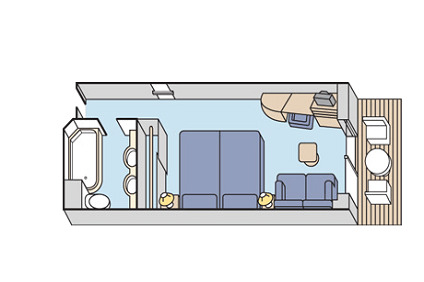 The well-appointed Deluxe Stateroom includes a welcoming sitting area, queen-size bed or twin beds, spacious wall closet, comfortable deluxe seating with soft leather sofa, and large picture window. Your elegant, double-vanity bathroom features a full bathtub/shower, ETRO bathrobes, kimonos and slippers, and exclusive ETRO bath products. 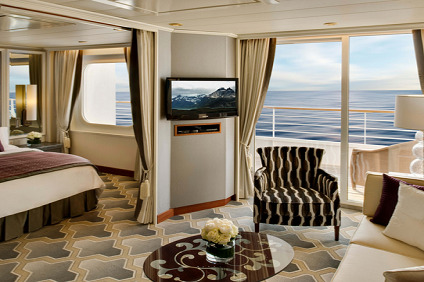 Relish 24-hour room service, twice-daily housekeeping and evening turndown service in your inviting Deluxe Stateroom. 269 Sq. Ft. All-inclusive luxury is yours in this elegant, deluxe stateroom with contemporary furnishings, 24-hour room service, glorious bedding and delightful, private verandah. 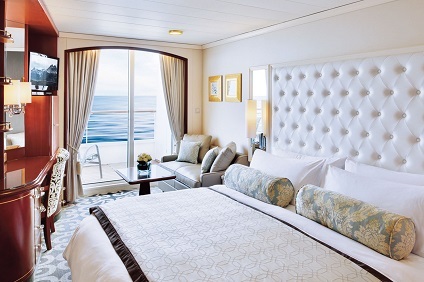 The stylish Deluxe Stateroom includes a well appointed sitting area, queen-size bed or twin beds, sizable wall closet, and private verandah for morning coffee, stunning views and fresh ocean breezes. Your well-appointed bathroom features a full bathtub/shower, ETRO bathrobes, kimonos and slippers, and exclusive ETRO bath products. 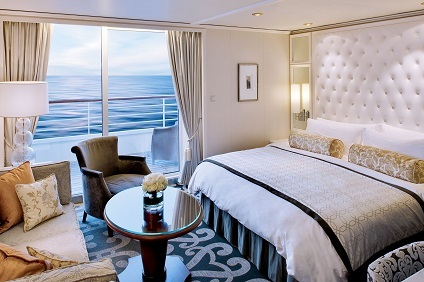 The gracious services of your stateroom attendant ensure your accommodations are always meticulously attended to with twice daily housekeeping and evening turndown service. And of course, 24-hour room service. 339 Sq. Ft. Families will love the exclusive shared entryway connecting two luxurious, butler-serviced Seabreeze Penthouses. 24-hour room service, in-suite dining, and private teak verandah highlight these fabulous, contemporary suites. The beautiful living area of the Seabreeze Penthouse includes queen-size bed or twin beds with soft bedding, vanity and walk-in closet, flat-panel HD TV, and in-suite tea or cocktails, canapes and dining from Umi Uma and Prego menus. The luxurious double-vanity master bath features a large luxury shower with body jets, and exclusive ETRO bath and body amenities, bathrobe and slippers. Personal butler service pampers our guests with packing and unpacking upon request, in-suite dining, reservations for spa, specialty dining and shore excursions, garment pressing, shoeshine, and more. SH: 10001, 10002, 10005,10006 Slight limited view. 403 Sq. Ft. Warm tones, welcome champagne, private verandah and indulgent amenities highlight the luxurious elegance of this spacious suite. 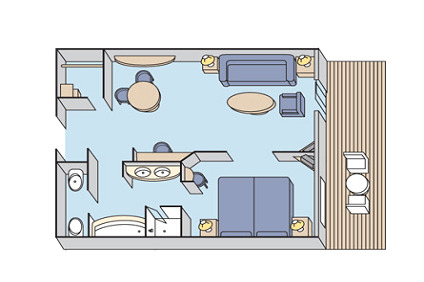 Perfectly designed for ultimate comfort, your Penthouse features an inviting queen-size bed or twin beds with superior bedding, vanity and dressing area, flat-panel HD TV and direct access to private verandah. The master bath features a Jacuzzi, television, separate shower and bidet, Calacatta marble floors, and ocean view. The guest bath includes a shower and discreet entry. Personalized 24-hour butler service means our staff attends to your every need, including unpacking and unpacking upon request, in-suite dining, reservations for spa, dining and shore excursions and more. 509 Sq. Ft. Feel relaxed and pampered in the understated elegance of your Seabreeze Penthouse suite featuring a luxurious private bedroom, sumptuous bath with large luxury shower and revitalizing body jets. Invite friends for cocktails and canapés or afternoon tea served by your butler in this stylish suite, where a soothing palette of classic ocean hues and private teak verandah offer an environment of peaceful tranquility. Sheer relaxation epitomizes the comfort of your luxurious private bedroom that includes king-size bed or twin beds, walk-in closet, and direct access to your spacious private verandah. Unique touches of your indulgent, luxury bath include a large deluxe shower with body jets, exclusive ETRO bath and body amenities, bathrobe and slippers, and convenient double vanity. An attentive butler anticipates your every need, catering to both you and your suite with attentive care. 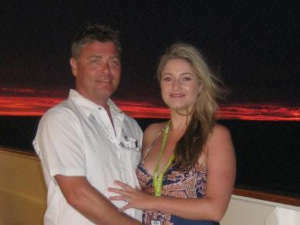 Services include packing and unpacking, in-suite dining, reservations for shore excursions, spa and specialty restaurants. 538 Sq. Ft. Unwind and entertain in the splendid luxury of your Penthouse Suite, featuring elegant living and bath areas, in-suite cocktails and dining, 24-hour dedicated butler service, and dramatic ocean views from your private verandah. After a day of discovery and enrichment, relax in the sublime comfort of your spacious living and dining area with separate study, or enjoy an amazing ocean sunset and glass of champagne from your own private verandah. 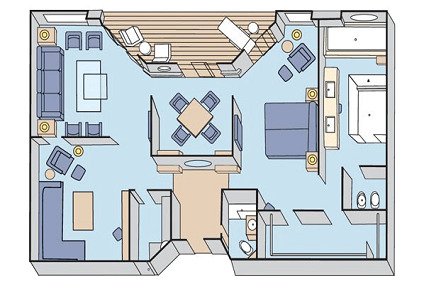 Your luxurious suite features a state-of-the art TV, comfortable queen-sized bed or twin beds with fine bedding and third berth, and generous walk-in closet. Indulge in the spa-like atmosphere of your elegant master bath, which features a full Jacuzzi tub, heated bench and floor, and luxury bath amenities including ETRO bathrobes, kimonos and slippers. 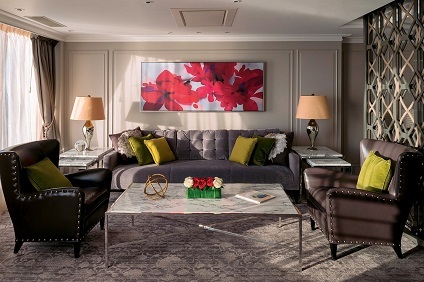 Relish the comforts of your beautifully appointed suite with 24-hour personal butler service including packing and unpacking, in-suite dining, reservations for shore excursions, spa, specialty restaurants,and more. 1,345 Sq. Ft. 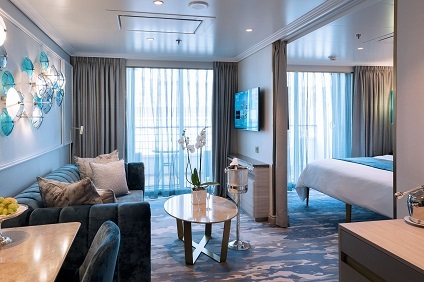 Stylish and elegant, the finest of all Crystal Serenity’s suites boasts a deluxe master bedroom, the attentive service of a personal butler, and sweeping views from the sweeping teak verandah. Enjoy in-suite dining, socializing or simply relaxing in the comfort of your luxurious living room and separate dining area. A built-in bar, Swarovski chandelier, and custom entertainment center with flat-screen HD TV make you feel right at home. Relax in a luxurious master bedroom that includes a dreamy queen-size bed or twin beds and features you’ll love including his & her walk-in closets, fine Frette linens, television, and private access to the expansive verandah. Soak in the stunning ocean views from the Jacuzzi of your lavish master bath, which also boasts flat-screen HD TV, heated floor and bench, separate shower and bidet, and decadent marble features. A separate guest bath includes shower and discreet entry. 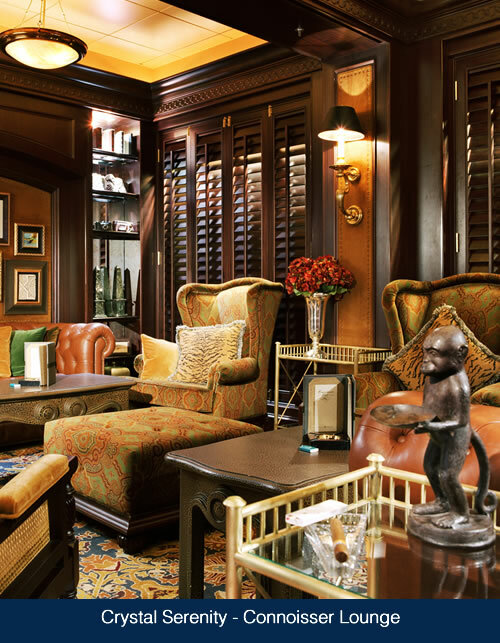 Extraordinary 24-hour butler service enhances your stay in this remarkable suite. Services include packing and unpacking, free pressing and laundry, in-suite dining, reservations for shore excursions, spa and specialty restaurants and more.